Microsoft India today hosted AXLE, a Microsoft Academia Accelerator annual showcase of collaboration between Microsoft and academia. Also, it was Academia Accelerator program’s seventh year of collaboration with students and faculty in India. Having AI for Good as a theme, the event was loaded with keynotes, tech talks, and student projects, showcasing innovative ways to make use of technology in solving real-world pain points. The event not only brought together computer science faculties, Microsoft leaders and employees, but also several industry influencers and students from top engineering colleges of India. According to the Redmond-based tech giant, among the new technologies that offer huge potential to ensure build richer, cleaner, healthier societies, AI could be considered the foremost as it can also help in better management of catastrophes and disasters. Keeping in line with this, the theme for Codefundo++ National Challenge under Academia Accelerator was “Build state of the art technology to predict or manage natural disasters better.” The challenge was a grand success with 5,000+ participating students across 21 colleges and 350+ new projects. 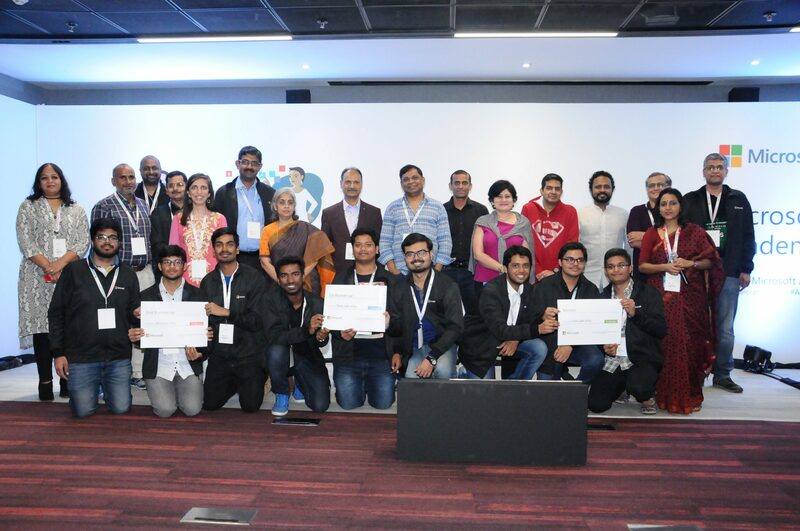 And the top 21 teams showcased their solutions at the new Microsoft Campus in Bengaluru today. Furthermore, topics such as AI for Earth: Solutions for Global Environmental Challenges, Health Data Collaborative Enabling AI Network and AI on the Edge and for the Edge to Design Smarter Cities were also among the popular themes that took the spotlight during the keynote sessions. “India has immense potential to be a hub of development for AI-driven solutions. Microsoft’s engagement with the Academia reiterates our commitment to engage and enrich the innovation journey of students in Engineering schools. It makes AI and its benefits accessible and drives digital transformation at the grassroot level,” said Chitra Sood, Director of Business Management, Microsoft India (R&D) Private Ltd. Academia Accelerator is one of Microsoft’s most comprehensive campus engagement programs that aims at building a deep, long-term association between industry and academia in India and reiterates the company’s mission to enable people to realize their full potential.